http://www.ahfc.state.ak.us/home/index.cfm - AHFC home page. Lots of information about different programs offered by AHFC. Includes 5-star plus rebates, energy rebates, and financing options, along with links to other state programs and educational opportunities. http://www.venmar.ca/Home.aspx - Venmar Home page. Great information on all Venmar products. HRV owner's manuals available to download for operating and servicing information. http://www.epa.gov/iaq/pubs/airclean.html - The EPA website. Lots of information on how air filters work and which contaminates the different types of air filters will remove. http://www.epa.gov/lead/ - Any remodel or renovation on any house built before 1978 must follow lead safe practices by a certified renovator or face fines starting at $35,000. 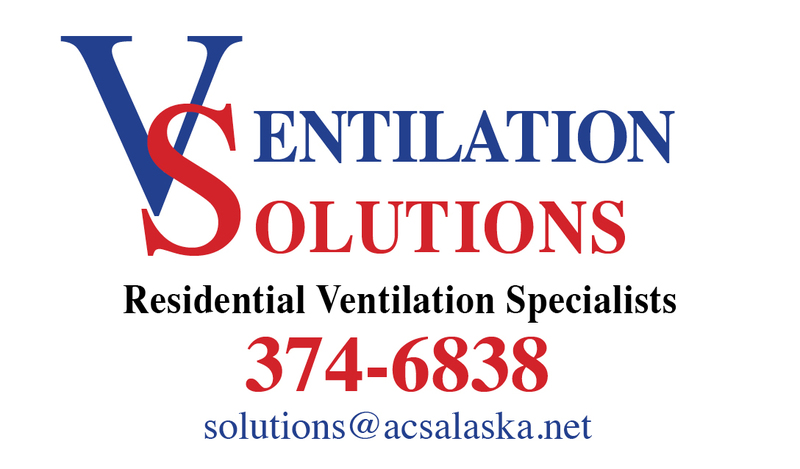 http://solutionsforhealthybreathing.com - A local company that specializes in indoor air quality. They can test for a wide range of pollutants including mold, radon, CO, benzine, and other toxins.